Fantastic app! So many song choices and I love that I can follow my friend’s playlists! They Rock! A ton of artistic ability in this band. Spotify listen up! Oh and thank you for your time. I totes hate how when I add more music to my playlist and I shuffle it, the songs that I added near each other always play right after the other! 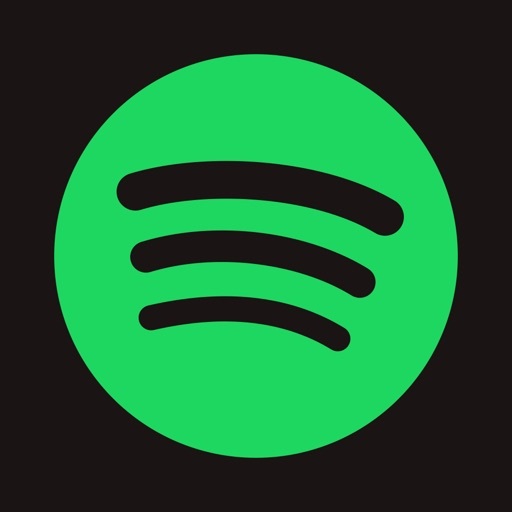 Spotify is a great music app and in my opinion the best. I say this after having tried both Apple Music and Google Play - it’s pretty clear that Spotify is the best. It has terrific playlist creation and managment, the UI is clean, intuitive, and responsive. The computer version is also great and the ability to connect to the phone through internet is super well made. One thing that would make it even better would be the ability to customize what quality you download certain songs - instead of downloading all songs at a set quality. For example I may want to have both Dark Side of the Moon and a stand-up comedy album downloaded on my phone. If I could download the former at highest quality and the later at normal - it would be space efficient, and allow me to actually use the super high quality - I don’t use it because I can’t have as many songs if they’re all high quality. Otherwise, it’s the best music app (IMO) - don’t hesitate to get it. Spotify has all the Music that like. But sometimes can’t play. I have a playlist of songs I absolutely love. It has 24 songs on it, but it always plays other songs I don’t have on my playlist.. songs about being gay?? What is this?? It never plays the 4 songs I love because of this! Annoying as hell, you guys better stop doing this crap.